Are we in need of a season car choice?. Or, are we just going with the fun race cars?. 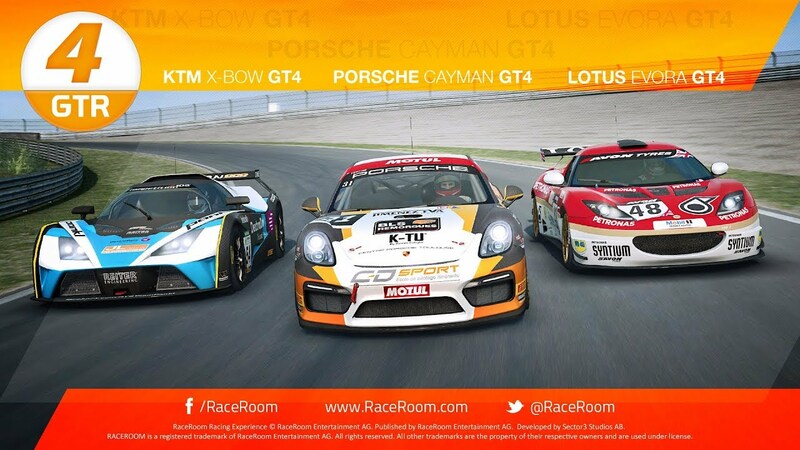 Just a thought, I notice there is a 'Leagues & Communities' section on the Sector3 Forums, could it be worth advertising our RaceRoom race series there, may bring in a few more drivers that don't know we exist. Also, be aware that any setups for cars that now have tyre pressure adjustment should be redone from scratch after the April 4 update. Pressures and toe settings can be way off apparently if you try and load an old setup. This is for the rest of the season, yes? They’ve fixed the downshift in the Cayman, but even so I think I’ll give the Lotus a try. Anyone's 1st race, whenever that is, is a free car choice, from then on you need to pick a car and stick with it. I'm gonna miss tonight, sorry gents. Swiped Pete's nose as he went for a pass when I got wobbly... then Sky's part time narrowband dropped the conn.
Nice racing tonight, although I think I was very fortunate to take the win with both Geoff and Dieter being quicker.